Studies conducted at several medical schools and institutions, shows that researchers may be closer to finding a treatment for ALS, also known as Lou Gehrig’s disease. When neural stem cells were transplanted into multilevels of the spinal cord of a mouse model with familial ALS, disease onset and progression slowed, motor and breathing function improved and treated mice survived three to four times longer than untreated mice. Results from a meta-analysis of 11 independent amyotrophic lateral sclerosis research studies are giving hope to the ALS community by showing, for the first time, that the fatal disease may be treatable. Researchers say progress in treating ALS, also known as Lou Gehrig’s disease, may be made by targeting new mechanisms revealed by neural stem cell-based studies. “This significant research will help us better understand the mechanisms underlying motor neuron diseases,” said Yang (Ted) Teng, HMS associate professor of surgery at Brigham and Women’s Hospital and one of the study’s co-lead authors. Teng is also director of the Spinal Cord Injury and Stem Cell Biology Research Laboratory in the Department of Neurosurgery at Brigham and Women’s. The research studies were conducted at Brigham and Women’s, Boston Children’s Hospital, Sanford-Burnham Medical Research Institute, UMass Medical School, Johns Hopkins University, SUNY-Syracuse, Columbia University and the VA Boston Healthcare System. ALS causes nerve cells in the spinal cord to die, eventually taking away a person’s ability to move or even breathe. A decade of research conducted at multiple institutions shows, however, that when neural stem cells were transplanted into multilevels of the spinal cord of a mouse model with familial ALS, disease onset and progression slowed, motor and breathing function improved and treated mice survived three to four times longer than untreated mice. A summary of the findings from all 11 studies was published online in December in Science Translational Medicine. The transplanted neural stem cells help by producing factors that preserve the health and function of the host’s remaining nerve cells. They also reduce inflammation and suppress the number of disease causing cells in the host’s spinal cord. “This work sheds new light on detrimental roles played by non-neuronal cells in triggering motor neuron death, and these events should be targeted for developing more effective therapeutics to treat ALS,” Teng said. The transplanted neural stem cells benefited the mice with ALS by boosting the health and function of their remaining nerve cells. The neural stem cells also reduced inflammation and suppressed the number of disease-causing cells in their spinal cords. The neural stem cells did not replace deteriorating nerve cells. Researchers observed improved motor performance and respiratory function in the treated mice. The neural stem cell transplant also slowed the disease’s progression. Twenty-five percent of the treated ALS mice in the study survived for one year or more—roughly three to four times longer than untreated mice. Neural stem cells are the precursors of all brain cells. They can self-renew, making more neural stem cells, and differentiate, becoming nerve cells or other brain cells. The cells can also rescue malfunctioning nerve cells and help preserve and regenerate host brain tissue. The transplanted neural stem cells helped the ALS mice, but not for the obvious reason that they replaced nerve cells missing in the ALS spinal cord. The biggest impact actually came from a series of other beneficial neural stem cell activities. It turns out neural stem cells produce protective molecules. They also trigger host cells to produce their own protective molecules. In turn, these factors help spare host nerve cells from further destruction. A number of other positive events then take place in treated mice. 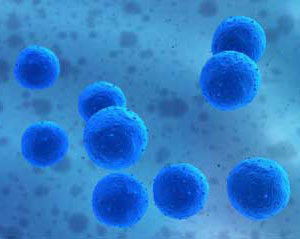 The transplanted normal neural stem cells change the fate of the host’s own diseased neural stem cells for the better. This change decreases the number of toxin producing, disease promoting cells in the host’s spinal cord. Transplanted neural stem cells also reduce inflammation. Researchers discovered that cell replacement played a surprisingly small role in the impressive clinical benefits. Rather, the stem cells changed the host environment for the better and protected the endangered nerve cells. The research studies were primarily funded by Project ALS, the California Institute for Regenerative Medicine, the National Institute of Neurological Disorders and Stroke, the Christopher Reeve Foundation/American Paralysis Association, the Sanford Children’s Research Center, the A-T Children’s Project and the Zinberg Foundation. Additional support to Teng was provided by a VA Biomedical Research and Development Grant, a VA Rehabilitation Research and Development Grant, and an NIH R21 grant. Be the first to comment on "A Step Closer to a Possible Treatment for ALS"